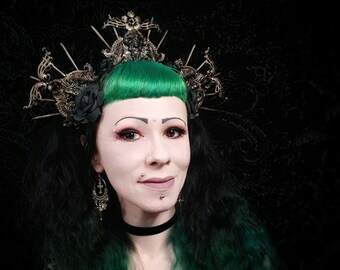 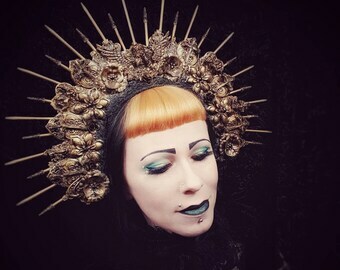 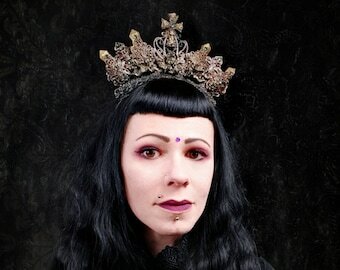 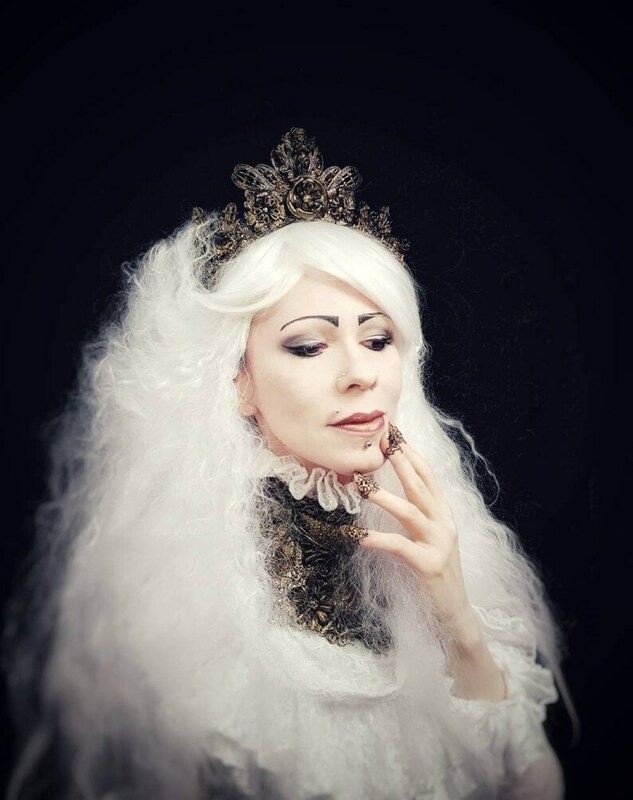 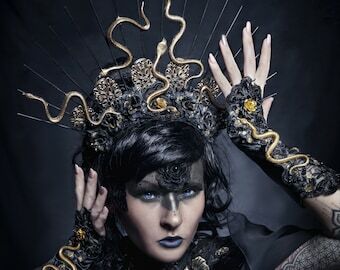 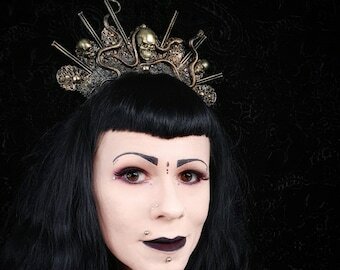 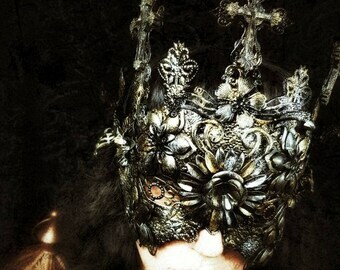 A Headpiece made of delicate Metal Elements attached to Worbla, with cast baroque decorative Elements and 3 Angel Figures and rimmed with black Embroidery Borrows. 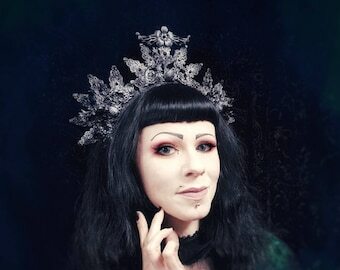 It is decorated with Glass Crystals, Stones and Pearls. 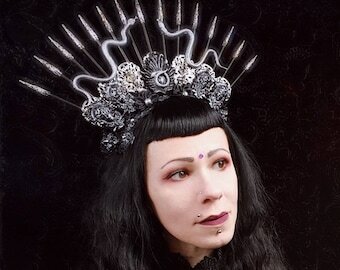 Attached to a Metal Hair Ripe and very comfortable to wear. 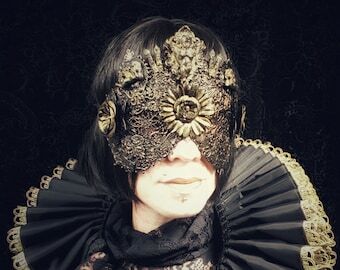 Please note that there may be discrepancies, such as the exact seat of the beads on the headpiece, as each piece is made by me by hand.